Venus, Mars, Pleiades, Tau Ceti, Andromeda, Arcturus, as well as many other planets, which you may not even know about in your current incarnation. You usually choose each incarnation with a “theme, and/or dedication,” to transmute as many components of your SELF as you can into a fifth dimensional frequency of vibration, perception, and contribution. Yes, you all choose a contribution that you decide to contribute to Gaia within each of your incarnations. Sometimes you were able to keep these “promises of contribution,” but sometimes you could NOT keep your promise. In fact, in some incarnations, you totally forgot all your past incarnations, and even forgot that you have had many lives—and will have many more! For some reason, many human leaders wanted to tell people that they were innately “flawed” and would have to “work hard to be forgiven,” or they would NOT “make it to Heaven.” Heaven was often known of as a place where Angels fly around and play harps. In reality, Heaven, is just like all the other frequencies of reality. However, the reality known as “Heaven” is a frequency of reality which resonates to the fifth dimension and beyond. As more and more people, animals, plants, and other members of Gaia’s Earth raise their frequency to the resonance of the fifth dimension, the entire planet will also raise Her resonance. Gaia, who is the being also known as Earth, has been very patient with Her humans, who were meant to be the most evolved of all Her species. However, some “humans,” or those disguised as humans, have been the most destructive of all Gaia’s inhabitants. Gaia is now raising Her frequency of resonance, as She is ready to begin Her process of Planetary Ascension. This process will be very difficult for the many human inhabitants who have lived their lives based on Service to Self rather than Service to Others. These “denser beings” will likely be frightened by the Earth changes, which will continue to occur as every component of Gaia’s earth, air, fire, water, plant, animal, and human kingdoms accelerate their innate frequency of resonance into higher and higher frequencies of core resonance. These higher frequencies of core resonance will first affect the more evolved humans, plants, animals and aspects of Gaia’s form by allowing themselves to fully awaken to their true, Multidimensional SELF. We are happy to see that even those humans who have always been dense and static are beginning to become less dense and increasingly mobile. In fact, more and more components of Gaia’s third dimensional reality are restructuring themselves in order to resonate to higher and higher frequencies. This “restructuring” of Gaia’s form, down into the baseline beings of the elementals, is causing great inconvenience for the humans who have always lived via “power over others.” The fear that has always driven their lives has expanded, as their behavior continues to become increasingly erratic. On the other hand, the innate transition that the awakened, and awakening ones, are experiencing is expanding their consciousness to perceive, and experience, higher and higher frequencies of reality. Of course, these higher frequencies of reality are not “seen” in the same manner as physical persons perceive their physical reality. As a physical human’s consciousness begins to expand into the higher fourth and fifth dimension, his/her innate “imagination” reveals important information that these “budding leaders for Gaia” know they must share with others. As with all major transitions, if one is aware of, and prepared for, change, they can more easily release their “resistance to change.” Resistance to change is common for all of humanity. Fortunately, as humanity can more easily and naturally open their consciousness to embrace the excitement and adventure of being a member of a Galactic Society, the process of planetary transmutation will flow more quickly and freely. Fortunately, more and more “human beings” are also embracing the process of opening their consciousness to the fact that they, TOO, are “galactic beings” who took a third dimensional form on Gaia to assist Her as She moves deeper, and higher, into Her process of Planetary Transmutation. Since human earth vessels are constructed of the same elements of earth, air, fire, water and ether as Gaia’s body, humans can align with the collective process of planetary evolution by allowing their core, elemental self, to also expand into a higher dimensional resonance. Both Gaia, and ALL her inhabitants, are preparing for “The Great Transition” into the next octave of resonance/reality. In Gaia’s past, whenever a human began to resonate to their fifth dimensional resonance, they disappeared to the vision of those whose consciousness still resonated to the third/fourth dimensions. In fact, there have been special places that also seemed to “disappear” to the perception of the third dimensional humans. However, these places and people were still there, but their resonance is beyond the perception of most humans. Even now, there are still many humans who will not perceive the fifth dimensional beings who have always been guiding them. Fortunately, as they expand their consciousness into the fifth dimensional resonance, they can also expand their perceptions into the fifth dimensional resonance of reality. In fact, more of you have had this experience, but you thought it was “just your imagination,” or “just a dream.” We say to you all within this NOW that “imagination,” as well as your “higher dimensional dreams,” are REAL, fifth dimensional experiences. However, just as you perceive your fourth dimensional “dreams and/or creative world” in a different manner than you perceive your daily, mundane world, you also perceive the fifth dimensional reality in a very different manner. Just as you do NOT perceive your fourth dimensional imagination and dream world in the same manner that you perceive your third dimensional reality, you will NOT perceive the fifth dimension in the same manner that you perceive the third and fourth dimensional realities. Yes, all of these “different dimensions” have different life forms that exist within each dimensional reality. There are many higher dimensional realities that are filled with life forms that are unfamiliar to your third dimensional perspectives. Fortunately, when you “meditate” or have a special “dream,” your earth body can experience a moment of calibration to the fifth dimensional realities to which Gaia and Her inhabitants are returning. We wish we could say that all of Gaia’s inhabitants will return to the fifth dimension, but Gaia is an “energy out—energy back” planet. In other words, whatever energy fields humanity puts out into the “life flow” of third/fourth dimensional Earth, will return to the senders. Because the third dimensional “life flow” is ruled by TIME and SPACE, you will often need to be at a certain place at a certain time to be able to fully align your Personal Consciousness with the Planetary Consciousness of that given location. In the same manner that you would give special attention to a part of your physical body that is injured, or unhealthy, you will all give special attention to any part of Gaia’s body that appears to be injured, harmed, unhealthy and/or in need of special attention. What we the Arcturians, as well as your entire Galactic Family, wish to remind you is that EVERY ONE of you chose to take a physical earth vessel during this NOW. As you are all aware, some humans love Gaia and ALL Her inhabitants. On the other hand, some humans do NOT perceive Gaia as a living being, but as a patch of land that they can “make money off of,” or “do what they please with.” These “humans,” who usually are not really humans, but Illuminati/Dark Ones, care only for their own personal, financial, or official gain. We regret that sometimes these beings are able to take over a situation in which they have the ability to fully exercise their innate need to have “power over.” However, there are still human lessons that some humans must learn from their own mistakes or personal lack of inner guidance. These humans are the ones who will NOT be ready to transmute their consciousness and physical form into the resonance of the fifth dimension. Fortunately, since time is an illusion of the third dimension, if they can just expand their consciousness into the fourth dimension, they can move their consciousness into the fourth dimensional “shifting waves of time” that will allow them to, at the very least, visit the higher dimensional realities. This Ascension Planet, also known as Earth or Gaia, was once a beautiful world with myriad types of persons, places, situations and things. However, since Gaia was “The ONE to ascend,” the Illuminati, who could not ascend because they chose to live the “Path of Power Over” rather than the “Path of Power Within,” tried to take over Gaia. Unfortunately, their invasion of Earth was quite successful and lasted far too long. Fortunately, there were wonderful eras in which the “Power Within” humans where able to create strong, “Peak Societies” where people lived in Unconditional Love and Service to Others. We, the Arcturians, as well as the other “Protectors of Unconditional Love,” “Power Within,” and “Service to Others,” created amazing Peak Societies. The members of these “Peak Societies,” such as Lemuria, Atlantis, early Greece, and early Rome loved their planet Gaia and treated Her as their Mother. That is until the “dark ones” took over. Because Gaia chose to be a “free-will planet,” her humans could choose to live via “power over others.” It was during these times that much damage was done to all of Gaia’s life forms. However, this darkness also served as a teacher, in the opposite manner in which the Light is a teacher. The Light teaches humanity that which is loving, kind, unselfish and prepared to transmute into the higher frequencies of reality. On the other hand, the darkness taught fear, anger, selfishness, greed, which always caused major damage to Gaia’s planetary body. When the humans finally learned the harsh lessons of the darkness, many of them returned their society to a “Society Based on Light.” Then, there was another peak experience society. On and on, the darkness and the light took their turn at ruling the planet. The darkness destroyed, and the light rebuilt and expanded that which had been destroyed. That is, as much as possible was returned to the light. 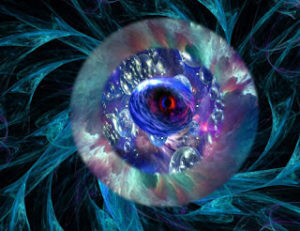 Unfortunately, there are many areas of Gaia which will only be able to be rebuilt when Gaia returns to Her true Multidimensional Planet and can offer the prospect of a fifth dimensional society once the humans could balance their consciousness in the higher dimensions and choose to live via Unconditional Love. But, dear Gaia is tired now. She has had enough of the cycles of change from light to dark, and then from the dark back to light. Gaia has been an “educational planet” long enough. She greatly enjoyed the Light, just as the humans did, but the Darkness left too many scars on Her planetary body, many of which still have not been healed. Fortunately, finally, more and more humans are evolved enough now to realize that they are Multidimensional Beings. Therefore, they can travel up the frequency trail of Light into the higher dimensions of Gaia’s Multidimensional SELF to visit Gaia’s higher dimensional expressions of reality. These higher dimensional representatives of Gaia are great teachers and are happy to pass on their great wisdom to those who can maintain a fifth dimensional state of consciousness long enough to receive and understand these higher messages. Once these Ascending Ones have received, documented, and understood these higher messages, they are asked to share that information with other humans who are ready to assist Gaia with Her planetary ascension. These beings have brought this information down to the people with the intention of awakening them. Unfortunately, too often, the darkness was so strong that it could easily extinguish the light, so the eras of darkness were too often longer than the eras of Light. Therefore, many members decided that they would find that LIGHT inside themselves. They did not need to be martyrs to bring in the next transition from darkness into light, as they could be unconditional loving teachers, scribes, artists and leaders. In other words, there is a new era of “Power Within” humans who have spent many incarnations on the fifth dimensional Starships and Home Worlds, as well as many incarnations on dear Gaia’s Earth learning and teaching what was necessary to best prepare Gaia, and as many of Her beings as possible, for PLANETARY ASCENSION. and how can we assist in creating it? This is a question which each “Service to Others” member of Gaia ascending Earth, must find within their own higher frequencies of their own Multidimensional SELF! Are these Awakened ONES, serving as humans on Gaia during this NOW of transmutation into a fifth dimensional reality ready NOW to ACCEPT GAIA’S CALL? We Arcturians will return soon to tell you more about Planetary and Galactic Cultures. Blessings from We the Arcturians, as well as ALL your Star Family.